The TeleSource team took on presenting sponsorship of the July Summer Celebration at the Lowe’s YMCA in Mooresville, NC. The event was attended by 20,000 area residents and featured a patriotic concert by a 200-member community choir. 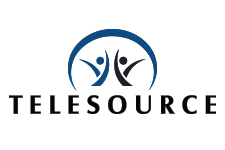 TeleSource staff also endorse Cell Phones for Soldiers. Since inception in April 2004, the group has raised almost $2 million in donations and distributed more than 500,000 prepaid calling cards to American soldiers serving overseas.